Avant Gallery continues its ride on the cutting edge of the arts. Showcasing some of the most talked about new artists, the collective located at the center is home to work of Skyler Grey who has become an eighteen-year-old contemporary art anomaly, often referred to as “The Fresh Prince of Street Art.” He is also sensationally known as the youngest artist ever to be internationally exhibited in art fairs including SCOPE during Art Basel in Switzerland, and Art Wynwood in Miami. 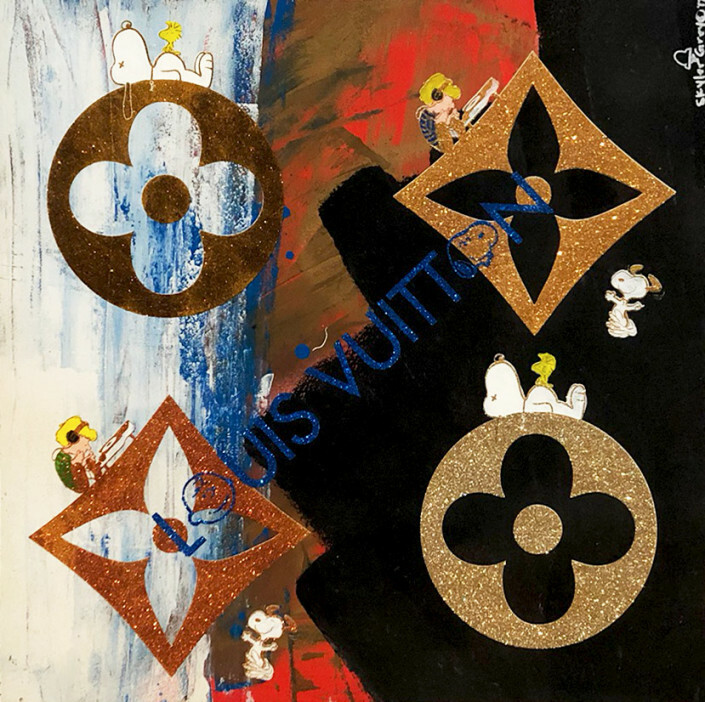 Grey mashes images of pop culture icons such as Popeye, Olive Oyl, Mickey Mouse, and Wonder Woman, and fuses them with luxury and fashion iconography via inclusion of logos such as Chanel, Hermes, and Louis Vuitton, allowing the artist to create his own commentary on what he considers Pop today. Inspired by, and often compared to contemporary art masters such as Jean-Michel Basquiat, Andy Warhol, and Keith Haring, Grey combines bold colors, silk-screening layers, acrylic, spray-paint, and touches of diamond dust, to create his own distinctive flair and style. 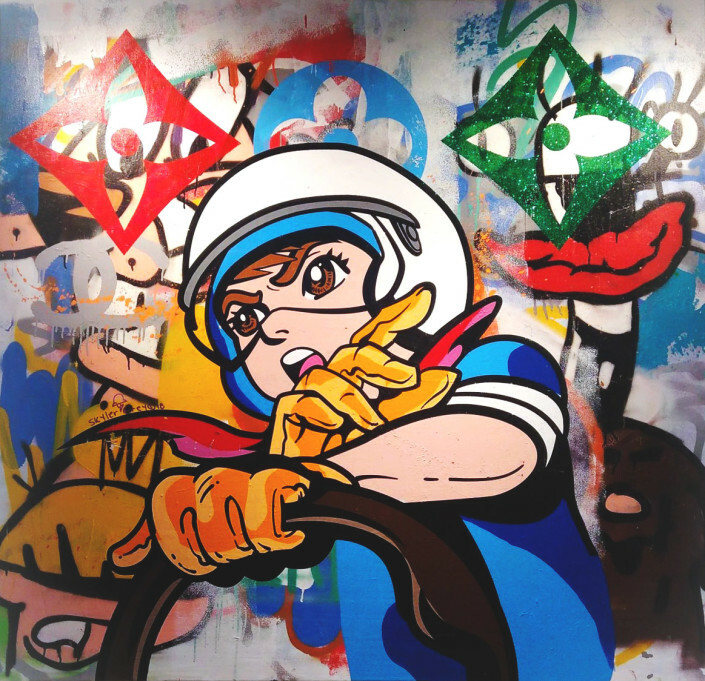 Grey’s works have been acquired by celebrities including Hip-Hop artist The Game, Swizz Beats, and the pop singer, Ashlee Simpson. 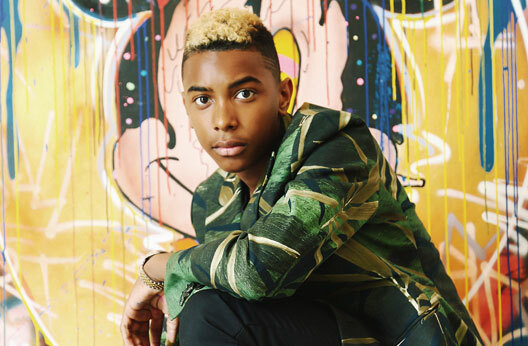 Grey was featured in Forbes Magazine’s “30 Under 30” Art and Style Edition. Earlier in the same year his work was added to the permanent collection of the Coral Springs Museum of Art. In addition to his one-of-a-kind paintings, Grey — who was named to Forbes’ 30 Under 30 list for 2017 — has created a personal brand that is also gaining wide recognition. His embellished jeans, Jeremy Scott Adidas shoes and dyed hair are all part of the empire he’s building.